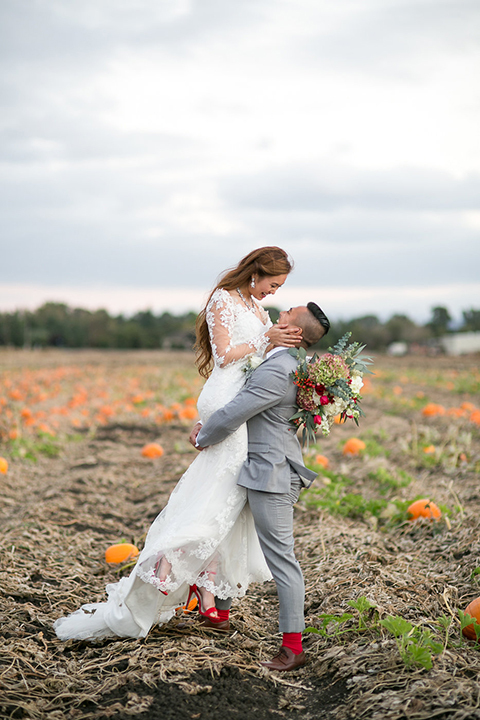 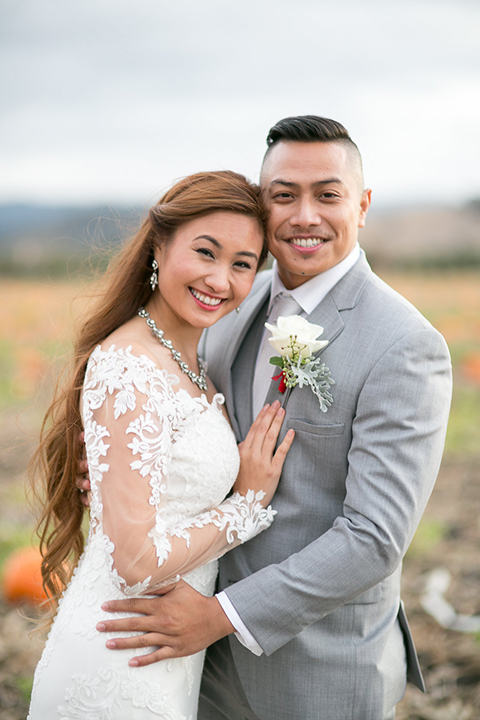 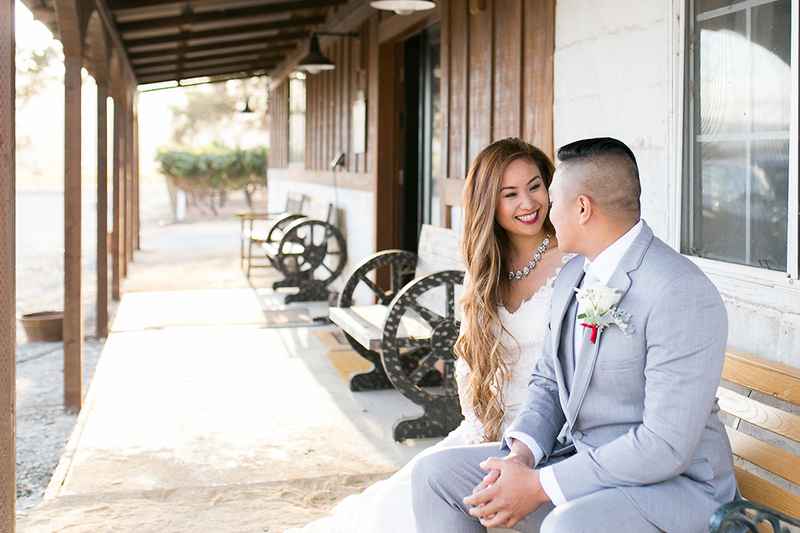 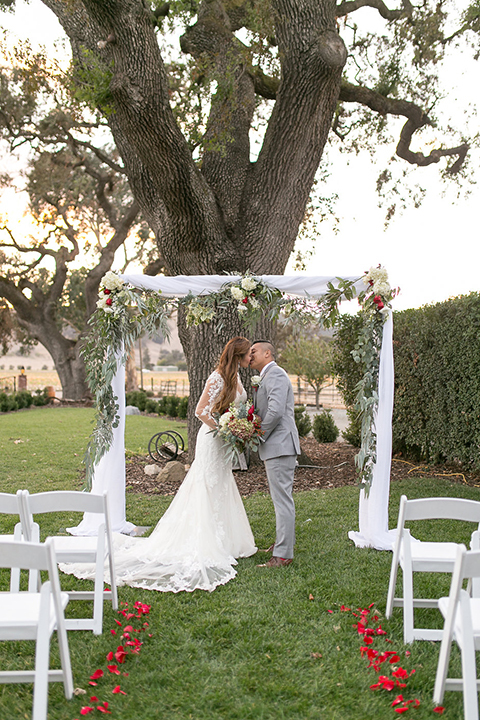 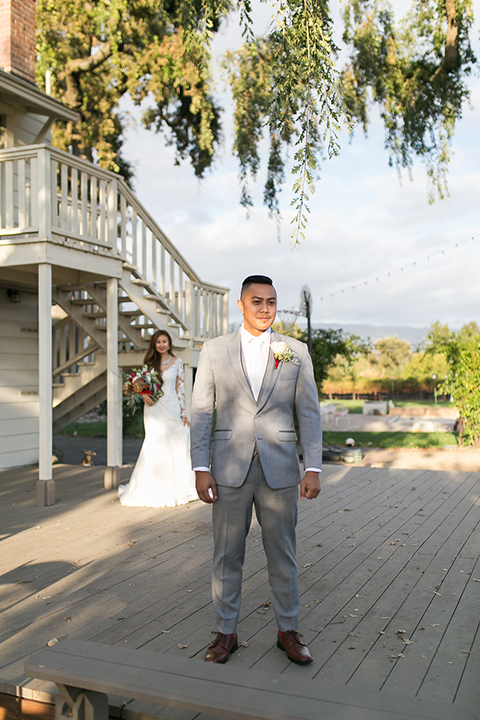 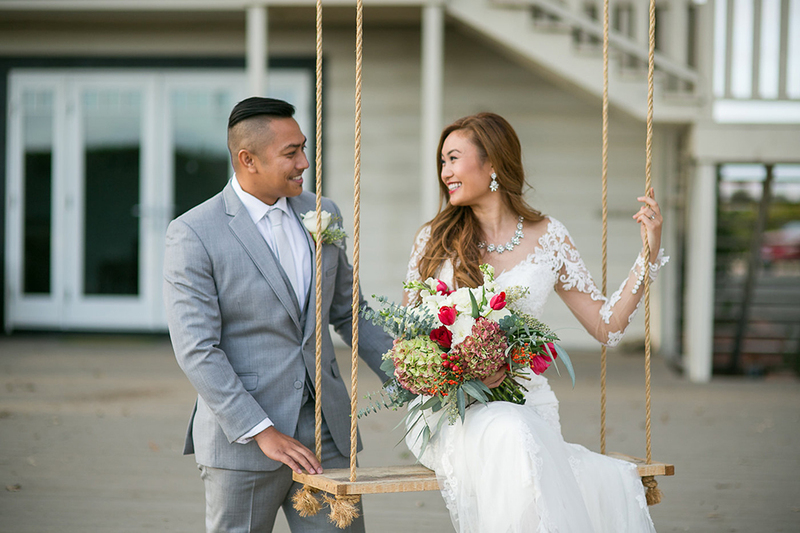 There are so many perks to having an outdoor wedding venue like Fitz Place, located in Santa Clara wine country. 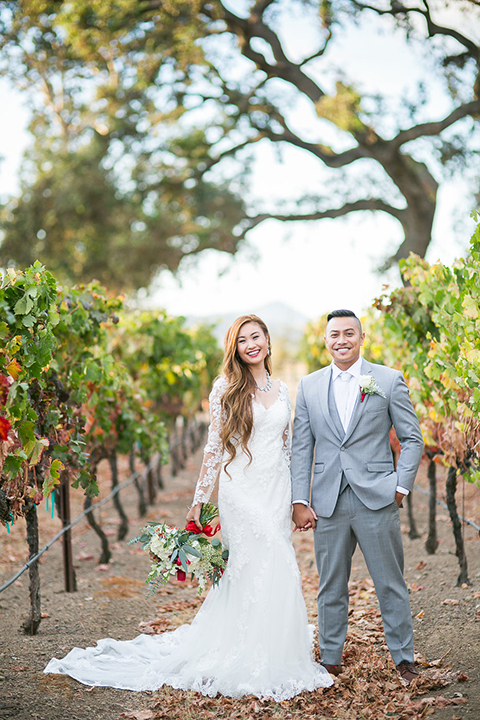 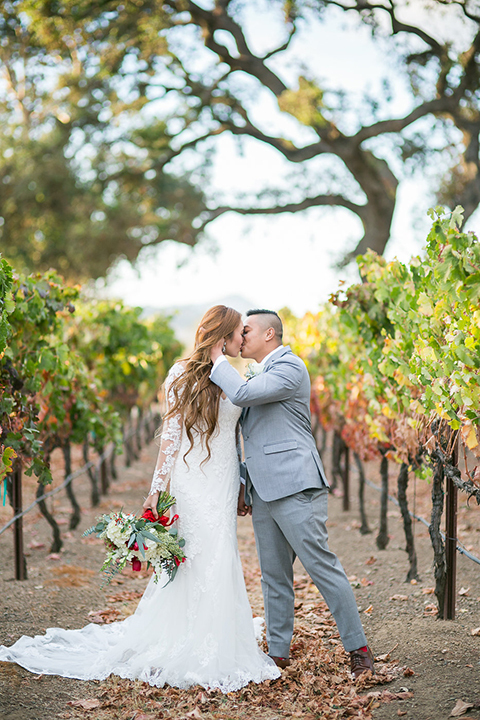 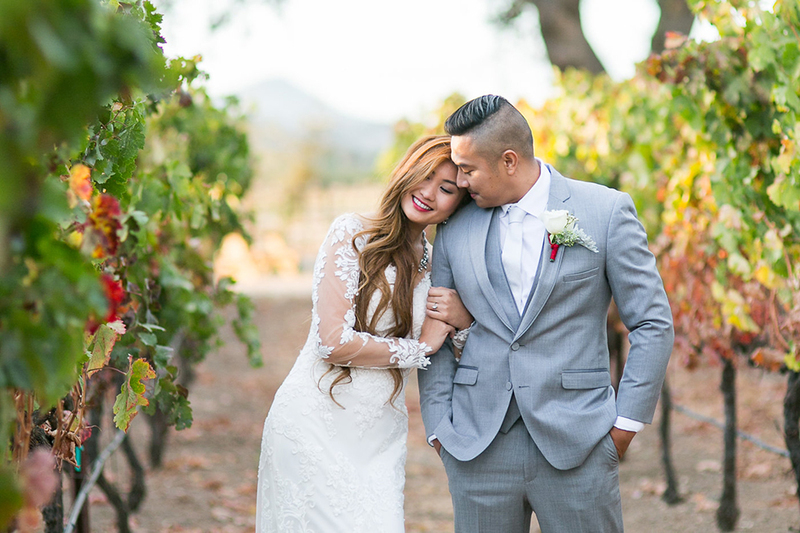 First of all, who wouldn't want to get married in wine country?! 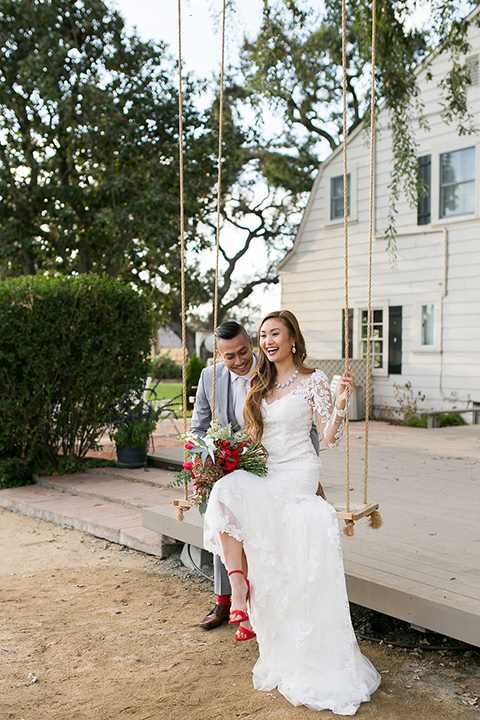 Second, the outdoor venue provides so many beautiful backdrops for wedding pictures and even some fun photo ops like their wooden swing. 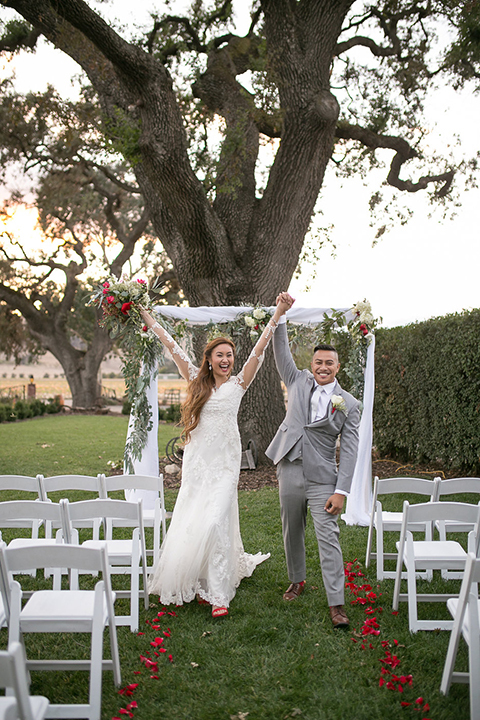 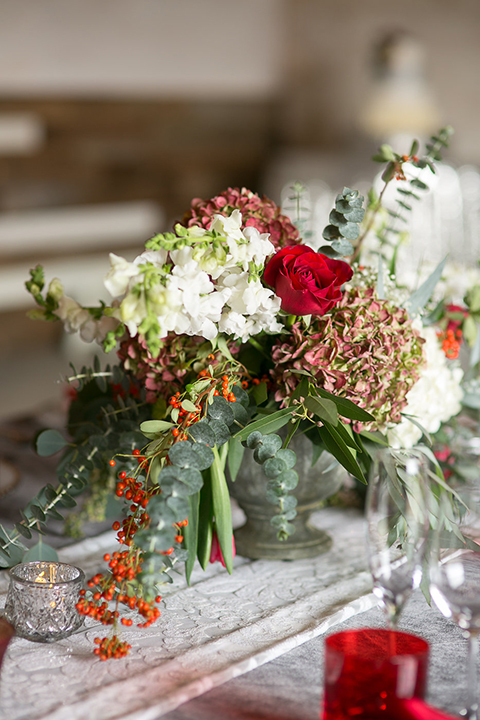 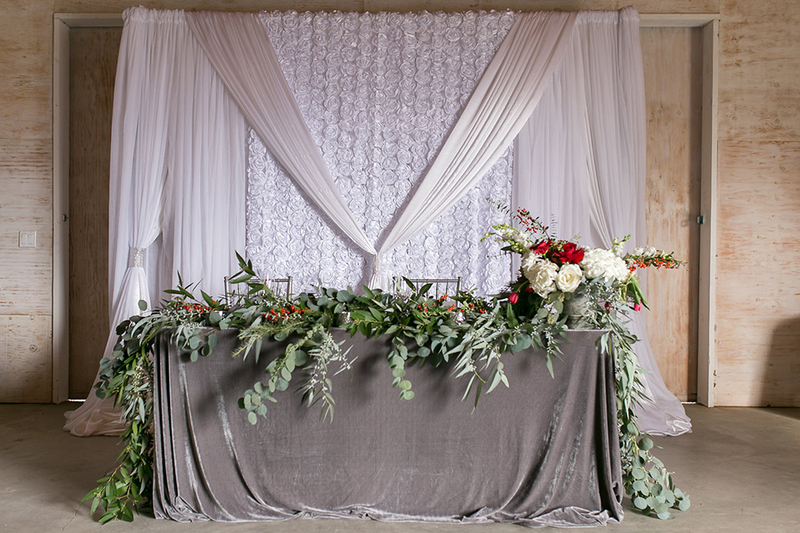 This wedding shoot designed by Hermosa Weddings and Events was fun and playful, but also had romantic and whimsical elements that tied everything together. 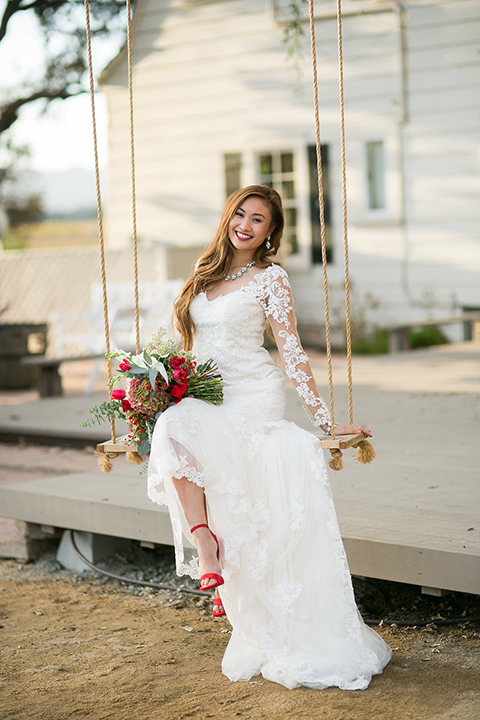 The bride wore a form fitting lace gown with long lace illusion sleeves and buttons down the back. 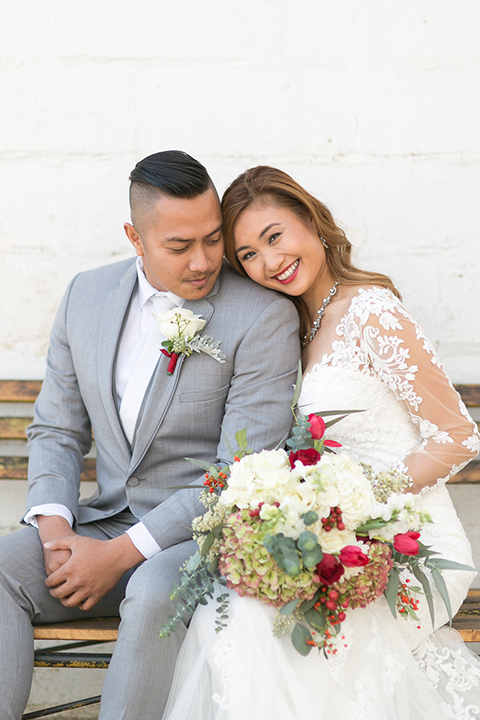 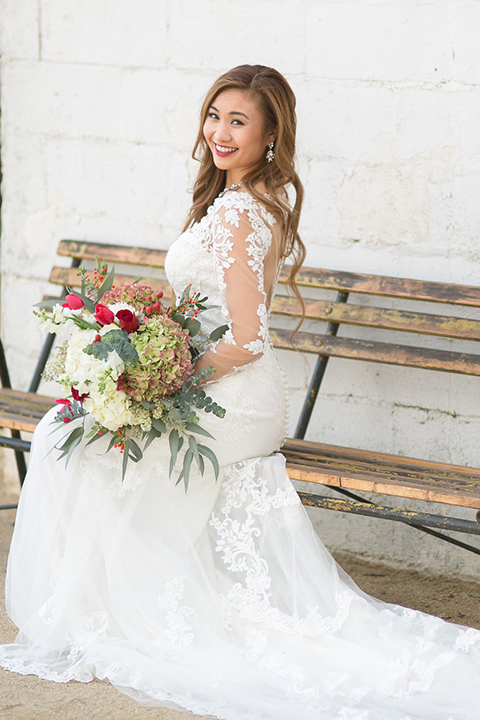 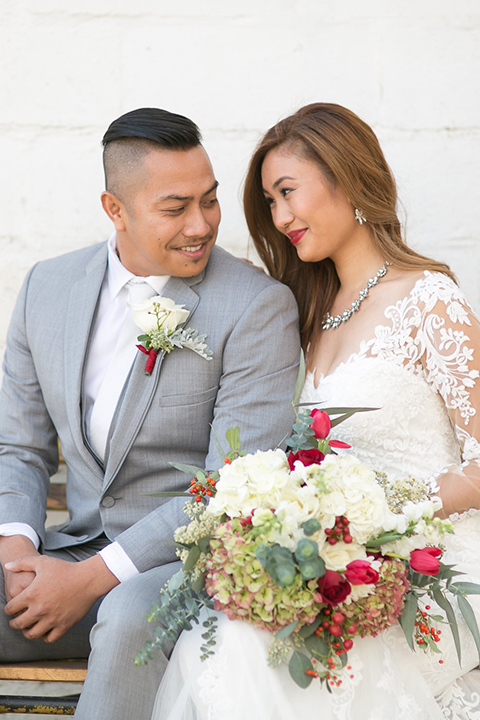 This look is perfect for any wedding style, and we love the added red lipstick to go with the red flowers in the bride's bouquet. 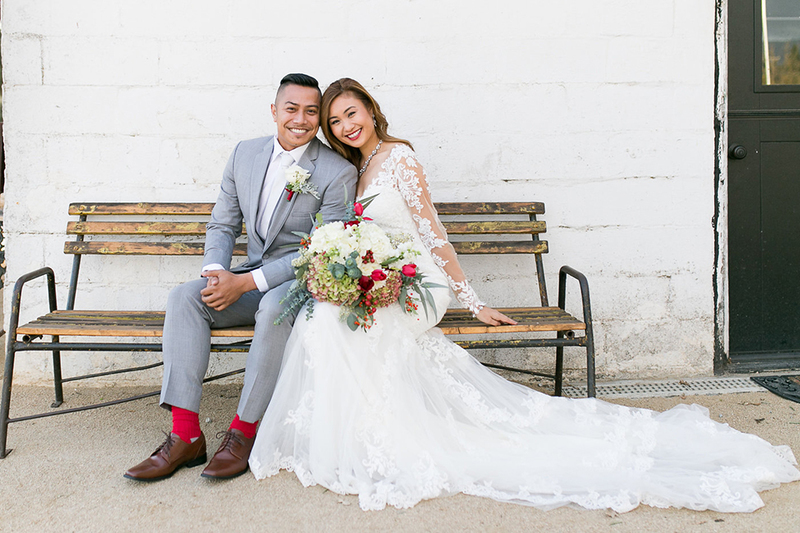 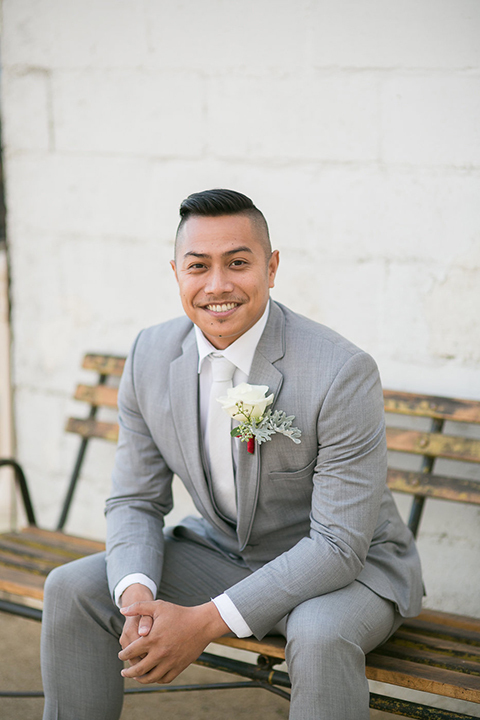 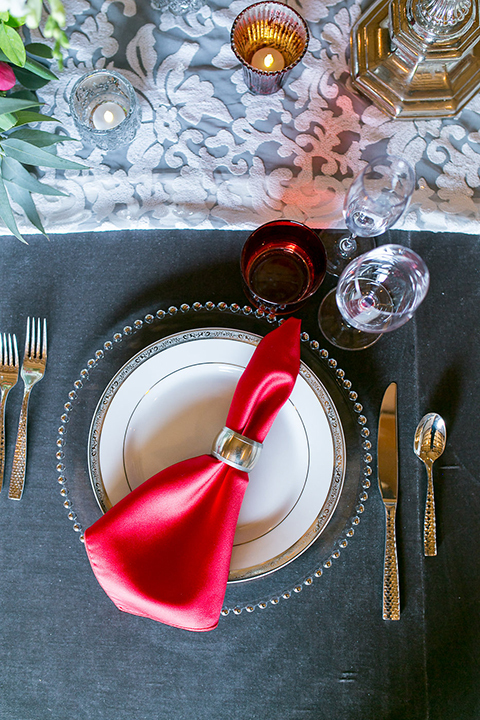 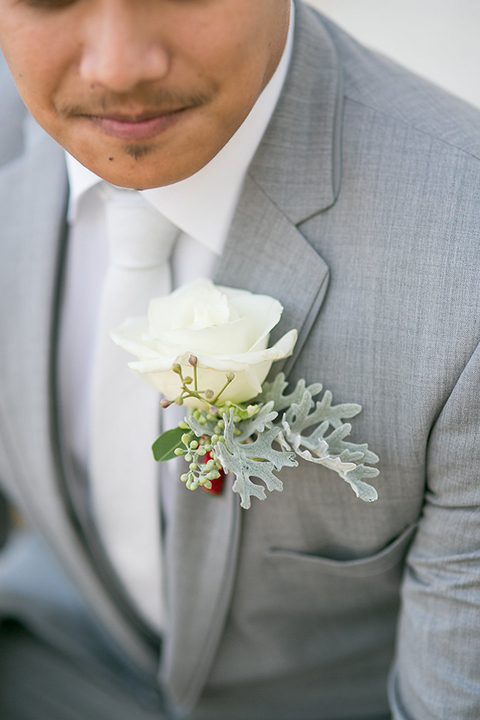 The groom added his own touch of red in his socks, paired with a heather grey notch lapel suit and long white tie. 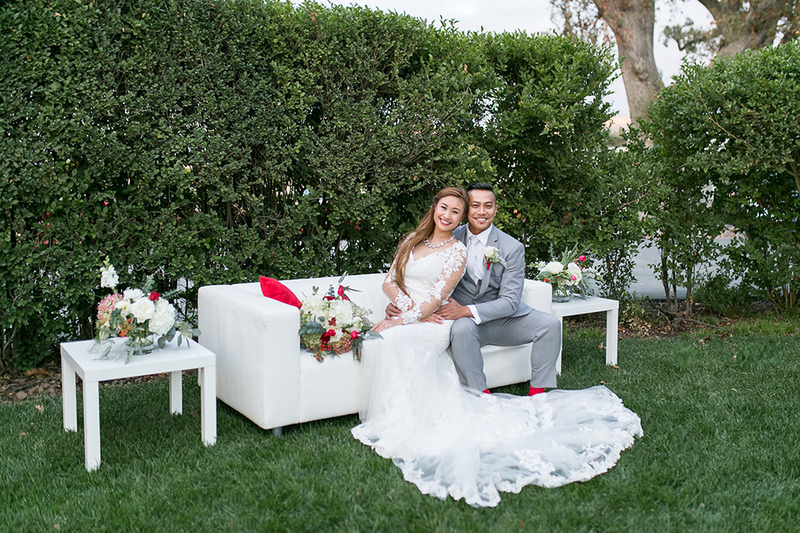 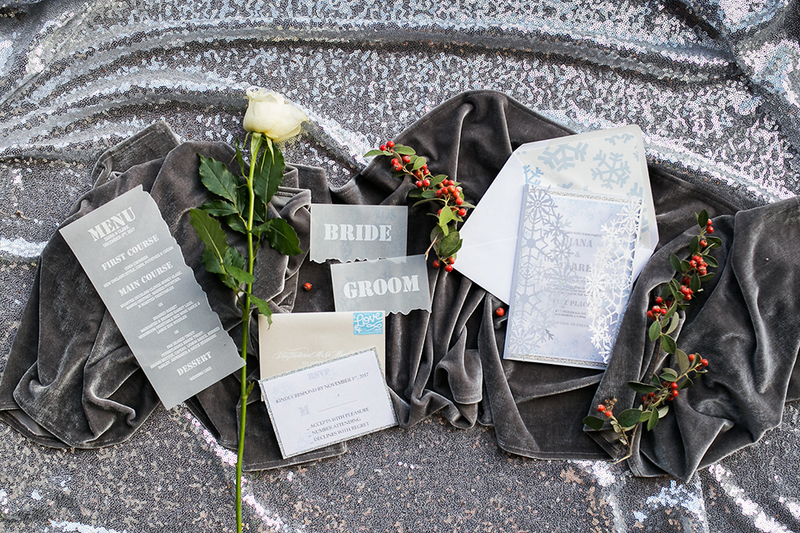 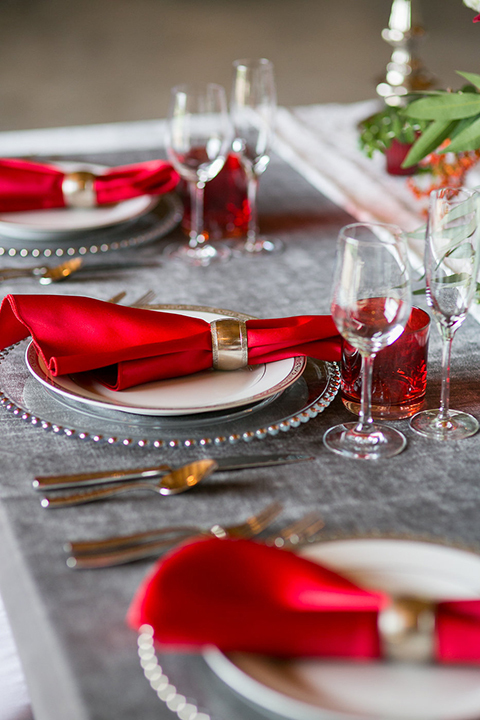 Having neutral colors as a part of the wedding wardrobe allows couples to explore their creativity and add a pop of color of their choosing. 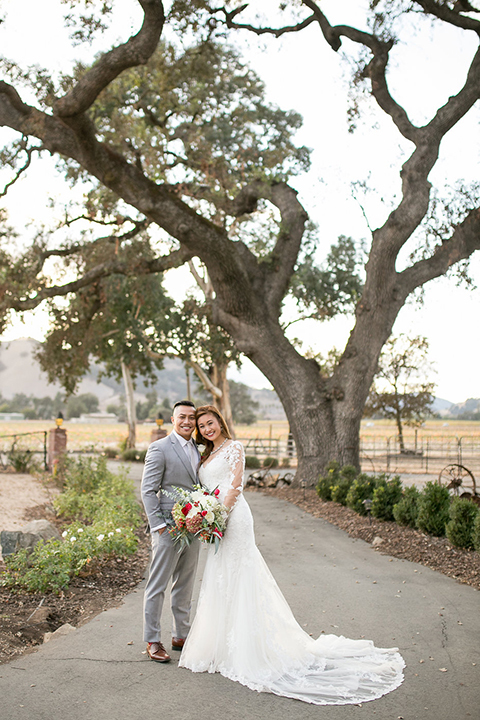 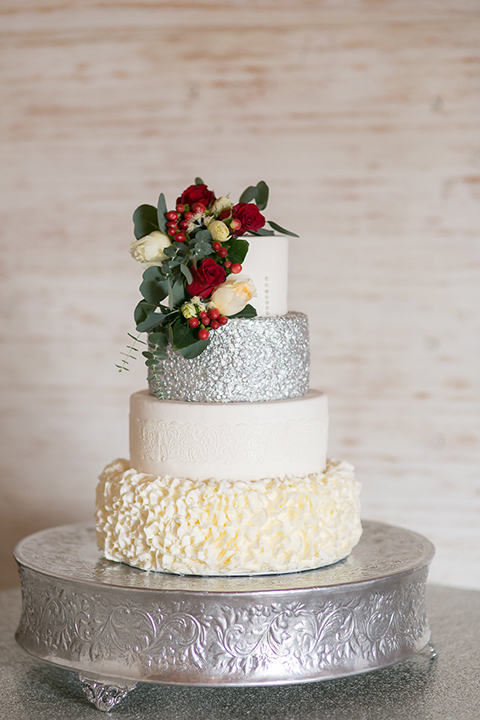 Take a look at the beautiful images below for some inspiration for your big day!